In October 2016, Klaus Schulten passed away. He was a professor at the University of Illinois, USA, and a pioneer of computer simulations in biophysics. I've met him just once, but that episode left strong memories. 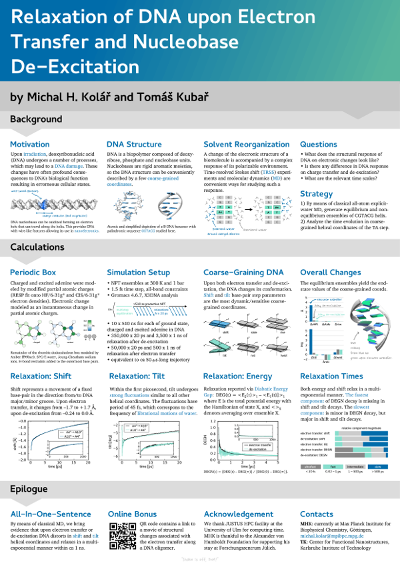 In a recent article for Vesmír, I put Klaus' life into context with the progress in computational biophysics. Written in Czech, available for subscribers. Michal Pitonak invited me to Bratislava to give a talk on sigma-holes. The Department of physical and theoretical chemistry at the Comenius University in Bratislava is world-renowned for the accurate quantum chemical calculations. 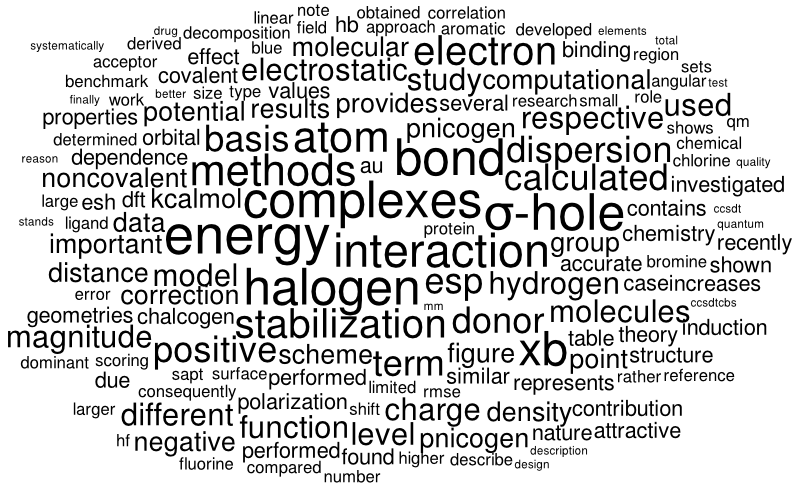 They develop, benchmark and apply perhaps the highest quantum chemistry one can imagine. 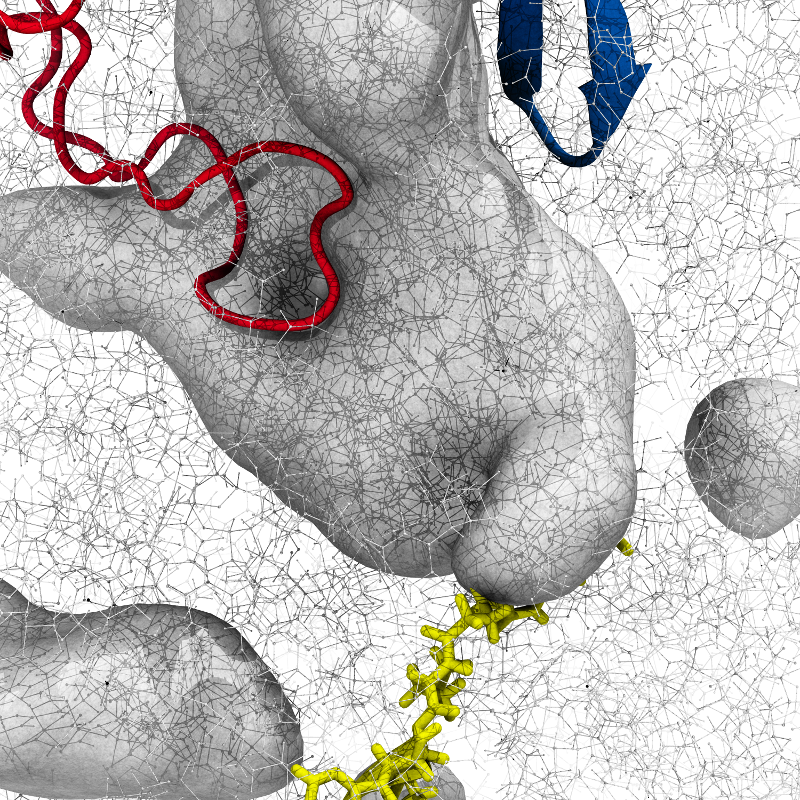 Last week, I attended a meeting on ribosomes. All the german experts on all aspects of ribosome research at one place. I gave a talk on the simulations I'm trying to establish. Given that there were like only two more simulation guys in the audience, the feedback that I got was in general quite positive. 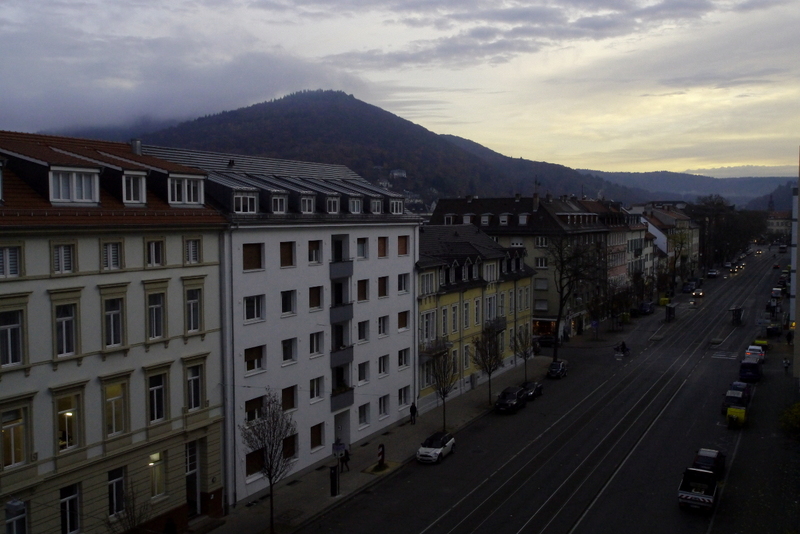 This is what I saw in the morning from the hotel window, after a dreamless night of rendering the last videos for my talk. I will definitely remember the talk of Peter Tieleman about lipid localization in membranes studied by coarse-grained simulations. For me, his talk was the example of how not to present a plenary talk if you are the leader in the field. Some of the (positive) reactions afterwards only showed that people tend to believe data more if presented by a "big name." 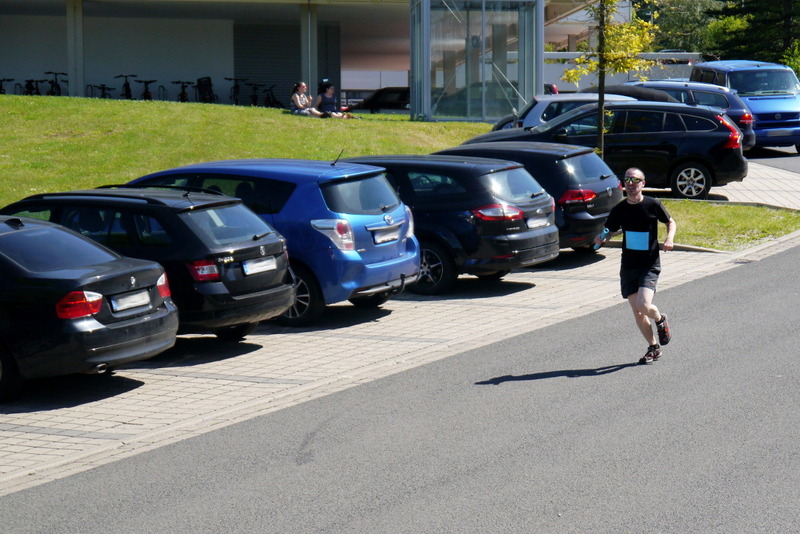 As a second runner, I took part in a relay run during Sommerfest of the Max Planck Institute for Biophysical Chemistry. 11 am, 30 °C, 5 minutes full steam. Thanks the team. Workshop on Computer Simulations and Theory of Biomolecules in Hünfeld is a pretty traditional event (runs since 2001). I've been there already for a couple of times, but this year I took part as a member of the organizing Department from Göttingen. As usual, the two days were fairly relaxed. The talks are given only by students and postdocs, people know each other from before and spent much time discussing science. 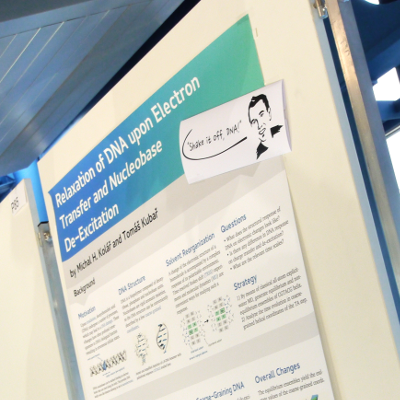 I contributed with a poster on DNA relaxation. Shake it off, DNA! "h is an abbreviation for huhohshdhjha"